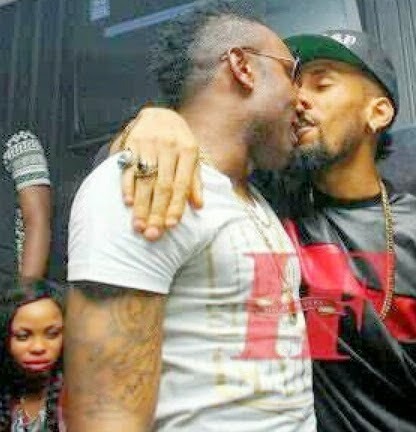 Paparazzi camera has caught up with the singer Kcee kissing his alleged gay partner Phyno . They were caught at the MTV award nominees party that held at D’place in Lekki Lagos last weekend Igbo rapper Phyno has responded. He claimed the picture currently going viral was Photoshopped. Read Phyno’s response below: The two men risk 14 years in jail if found guilty of being gay. Previous Post Another Boko Haram terrorist delivered by T.B. Joshua – "They promised me 2million naira if I bombed church"